The Travis Manion Foundation’s Operation Legacy Service Project leads to mass enhancements on South Philly streets. With rakes and brooms in hand, more than 100 high school students, alongside dozens of local residents and veterans, scattered across South Philly streets on Saturday, cleaning up several neighborhoods while paying respect to fallen heroes. 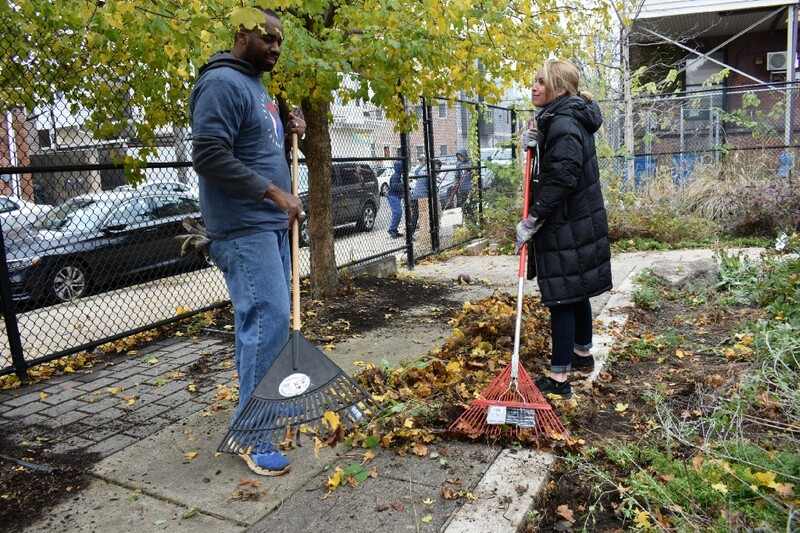 From tree planting to alley decluttering, the network of community service pulsating from Graduate Hospital to East Passyunk marked the second annual alliance between the longstanding Point Breeze Day of Service and the Travis Manion Foundation’s Operation Legacy Service Project. 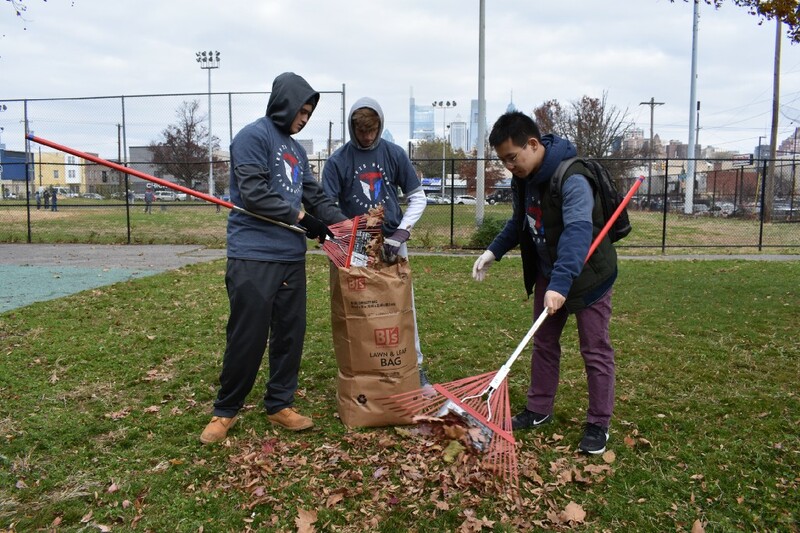 The event at Chew Playground marked round two of the Fall 2018 Point Breeze Day of Service, which succeeded a cleanup at Wharton Square Park the weekend prior that welcomed former President George W. Bush. The Travis Manion Foundation, a national nonprofit uniting veterans for youth and community empowerment programs founded upon the legacy of fallen Marine 1st Lt. Travis Manion of Doylestown, and students from St. Joseph’s Preparatory School partnered with 12 civic and community organizations to spruce the city. Although Saturday’s event featured park cleanups, trash pickups, alley cleanouts, vacant lot cleanouts and tree plantings from the Pennsylvania Horticultural Society, the project was dedicated to a handful of local fallen heroes. The honorees included Army Major John Pryor, a surgeon who was killed in action in Iraq in 2008, Army corporal and Philadelphia police officer Gennaro Pellegrini, who was killed in action in Iraq in 2005, Army Lt. Demetrius Frison, who was killed in action in Afghanistan in 2011, and Army sergeant and medic Matthew J. Sandri of the 82nd Airborne Division, who was killed in action in Iraq in 2004. 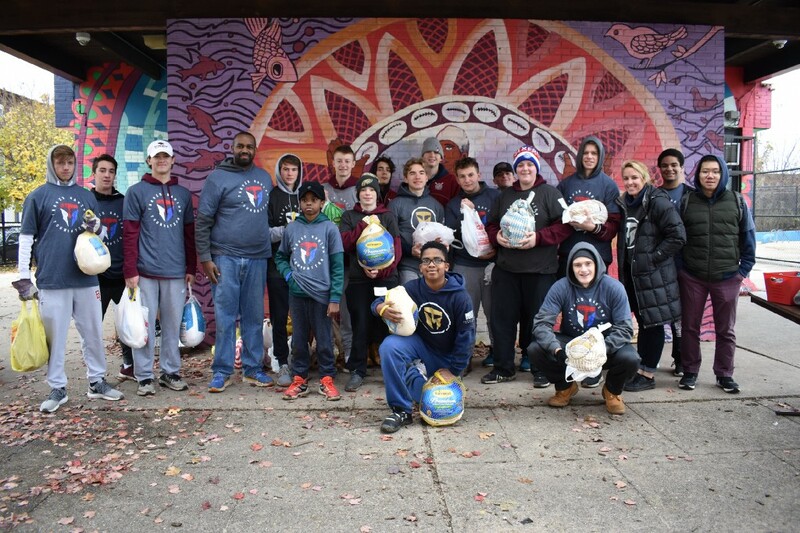 For the St. Joseph’s Prep students who have been teaming up with TMF since 2014 through a “leadership academy” in the fall and spring semesters, the morning signified more than community service opportunities to enhance college resumes. Throughout the morning, students lent their helping hands to gracious neighbors by partaking in a scope of enhancements, encompassing planting close to 100 trees around South Philly, sweeping the schoolyard of G.W. Childs Elementary School and alleyways like one on 18th and Federal streets where South Philly native and Operation Iraqi Freedom veteran Jimmy White IV was raised. The naval veteran, a 1998 graduate of the Girard Academic Music Program in South Philly and the naval Nuclear Power School, worked as a nuclear electrician on board the USS Montpelier before returning home to South Philly. For White, who leads character-building programs through TMF at local schools, it was surreal seeing students and residents come together to sweep his native alleway located behind Annin Street just north of Federal Street. Although he says the community is changing, some struggles still persist, such as gun violence and drug abuse, so TMF’s South Philly presence through cleanup projects and the “Character Does Matter” program feels especially crucial. Looking ahead, the TMF and Point Breeze Day of Service marriage intends to continue this semi-yearly project, as a similar event is tentatively scheduled for April. But, volunteers stressed the assistance flushed out all morning is not exclusive to one day. To learn more about the Travis Manion Foundation, visit https://www.travismanion.org/.